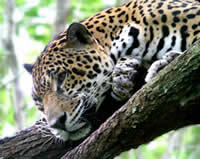 With only seven per cent of the Atlantic Rainforest remaining, it is an ecosystem more threatened than the Amazon Rainforest. One of the world’s major biodiversity hotspots, the Atlantic Rainforest once stretched in a huge swath from Brazil, through to Paraguay and Argentina. 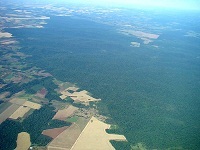 Of this original forest, 93 per cent has been destroyed and less than two per cent is left in Paraguay. 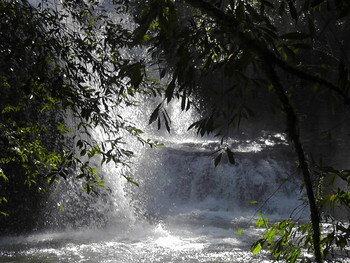 In 1992, the Rio summit designated a 172,970 acre (70,000 hectare) area in south-eastern Paraguay as the San Rafael National Park, in what seemed to be a bid to protect the country’s last remaining Atlantic Rainforest. But this remained a protected area on paper only; all the land within the national park was privately owned and logging continued at a devastating rate. 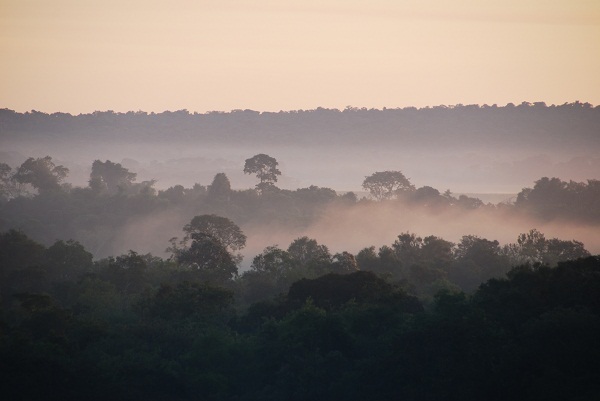 In 2001, our partner Guyra Paraguay realised if they did not step in with land purchase projects to save the threatened habitat within the national park, then the forests of San Rafael and all its diverse wildlife would be destroyed. They began work on galvanising the support of a huge network of conservation, fundraising and governmental bodies, that ushered in a decade of land purchase achievement. Firstly, Guyra Paraguay secured 5,611 acres (2,271 ha) to create the Guyra Reta nature reserve, supported by funds from the Garfield Foundation and WLT’s partner, World Land Trust – US (then known as the World Parks Endowment ). A few years later, they increased the protection of the reserve by saving a further 2,805 acres (1,135 ha) of surrounding forest, supported by Conservation International through the Global Conservation Fund. In 2003, Guyra Paraguay went on to create the 346 acre (140 ha) Arroyo Tajy Reserve thanks to donations from at a fundraising reception held by WWF in Washington. Successfully securing this land was largely achieved through the support of Leila Rachid de Cowles, the Ambassador of the Paraguayan Embassy in the USA, otherwise known as the ‘Godmother of San Rafael’. The following year in June, Guyra Paraguay successfully gained more funding from Conservation International to protect two more areas of threatened forest, purchasing a total of 366 acres (148 ha). Just four months later, they saved another 5,197 acres (2,103 ha) thanks to donations from WWF-Washington and The Nature Conservancy. August 2006 proved to be a particularly busy month for Guyra Paraguay, as they successfully purchased three different areas of land totaling 986 acres (399 ha), thanks to donations from World Land Trust – US, among others. Two years on, WLT and the American Bird Conservancy (ABC) funded the purchase of a further 1,386 acres (561 ha) to further extend Guyra Reta Reserve, increasing the total protected area to over 9,800 acres (3,966 ha). The following year in March, the sale of 677 acres (274 ha) represented the first partnership between Guyra Paraguay and the Mbya Guaraní people, who co-own the nature reserve, leading to full community ownership in the future. This was made possible with donations from Hans Swegen, through BirdLife International (a WLT partner), and others. By November 2011, Guyra Paraguay had saved a total of 17,393 acres (7,039 ha) in San Rafael, continuing their land purchase success despite the cost per acre rising dramatically over the decade – beginning at $210 in 2001 and escalating to $867 by 2011. During these 10 years of land purchase achievement, Guyra Paraguay continued developing other conservation projects across the country. Today, with the support of WLT they are safeguarding threatened habitats within three distinct ecosystems – the Atlantic Rainforest, the Dry Chaco, and the Chaco-Pantanal. WLT and Guyra Paraguay’s main focus over the past three years has been working together to develop a large-scale REDD+ project (Reducing Emissions from Deforestation and Forest Degradation, plus). 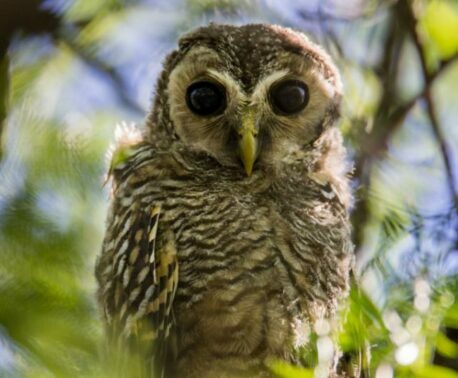 This conservation initiative, called the Paraguay Forest Conservation Project, is reducing deforestation and helping to tackle dangerous climate change, with significant and lasting benefits for local communities and biodiversity. WLT believes that working in partnership with a network of conservation organisations across the world to empower local people is the most successful road to conservation success.